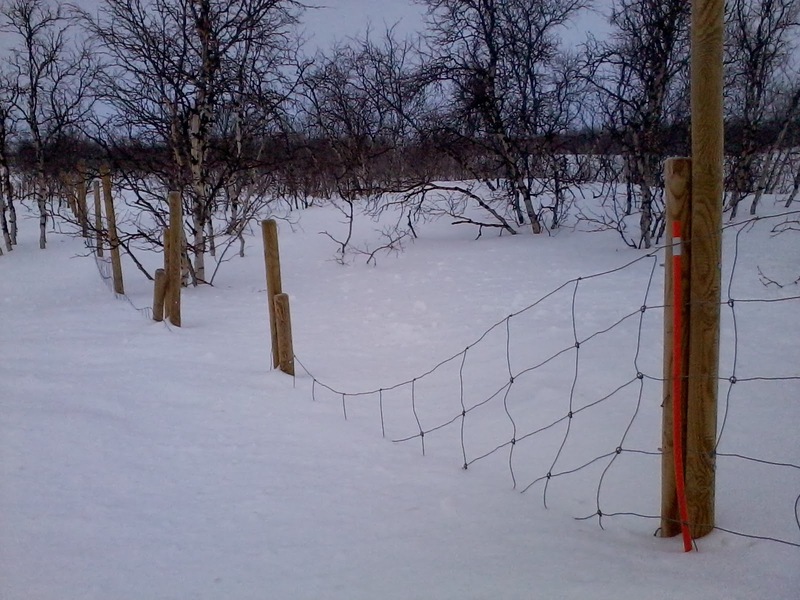 In places around the KAIRA site, the snow has been sufficiently deep that it renders the reindeer fence useless. There are now at least three places where the land dips, but the snow surface remains constant. Thus, the fence (which follows the terrain) dips under the snow surface. Incidentally, we've now seen elk foot prints inside the KAIRA site compound.